Cattle Exposition in Trelew - Trelew, Patagonia, Argentina. 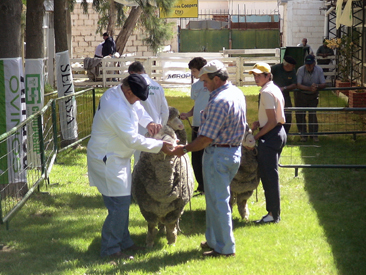 The city of Trelew is prepared as every year to celebrate a new edition of the Livestock Exposition and Ram Field Fair. It is done in November at the headquarter of the Rural Society of Chubut, located in Edison and Rawson streets. 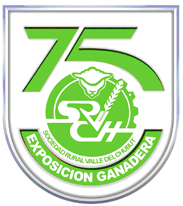 Logo of the 2010 edition. The whole community of Chubut waits with great expectation this traditional event, which in November 4 to 13, 2011 will celebrate its 76th edition. A varied program full of activities for the general public with shows and live entertainment. In addition, there shod horse shows, parades of the Gaucho Associations, stands with local products and food court with various dining options and the proposal of permanent Patagonian lamb. The exhibition has become a meeting place for producers in the region to exchange goods and knowledge referred to the subject field. The idea is to bring the countryside to the city, according to its organizers, and therefore there are lectures and demonstrations to improve wool production in the area, one of the finest merino breed. Demonstration of sheeps in the Expo 2009. The industrial, commercial and craft meet in the Rural Expo that has the prestige and endorsement of 75 editions devoted to provincial and national level. Also, it develops the Ram Field Fair and there is a space for children who can enjoy the Ruralito '11, a place with different options of games and special activities for them. The festival is free entry, including musical shows that are performed on the larger stage by local and national artists.